To-do lists have come a long way since the days of scribbling down notes on scraps of paper and later frantically shuffling through everything on your desk in search of a misplaced Post-It note. Today, we’re blessed with entire app stores filled with digital to-do lists and day planners. No more scraps of paper or trying to decipher your own handwriting – those problems are a thing of the past. Yet modern to-do list apps are so much more than digital notepads. You can use them to plan and manage your entire workflow, set due dates for each task and set reminders so nothing gets missed or forgotten. With some of the more complex task planning apps you can manage entire projects, multiple teams and simplify highly complex workloads. If you’re looking to boost personal or team productivity, this is the first tool you should be adding to your kit. And to help you choose the right app for you (or your team), here are the 10 best to-do list apps and day planners available right now. In this article, I’m going to start by introducing the 10 best to-do list apps and day planners I’ve used (I’ve used a lot of them) with a quick intro and overview of what they have to offer. Then, in the second part of this article, I’m going to compare them in more detail (features, price, UX, etc.) to help you choose the best app(s) for your needs. We all work differently and require certain things from productivity apps. This is something I was very conscious of when choosing these recommendations and they’ve all got something unique to offer. Some of these are simply great to-do list apps and scheduling tools. Others are more complex, offering a range of project management and productivity features – all of which will be explained throughout this article. With so many to-do list and task management apps available these days, choosing one can be very difficult. But this is about to get a whole lot easier for you, once you’re done with this article. First up, we’ve got Wunderlist and I’ve recommended this once before in our 10 best time management and productivity apps article. When you need a truly cross-platform and feature-rich task management tool, Wunderlist is hard to beat. The platform is designed around the concept of to-do lists but there’s so much more you can do with this app. Task planning: Create tasks or larger to-do lists, set your deadlines, prioritise the most important tasks and check them off once they’re done. Folders: Group related lists into folders to manage projects or complex tasks into manageable categories. Reminders: Set reminders to ensure tasks are never forgotten. Notifications: Get updates via push, email and in-app notifications. Collaborate: Share your lists with others and collaborate on groups tasks. Comments: Communicate with other members within the Wunderlist app for improved teamwork. Wunderlist is a great option for individuals and entire teams who need to manage their work and personal lives. Todoist is more geared towards individuals than entire workforces although you can group tasks and lists into projects, which might work for small teams. Generally, though, Todoist is going to be a better option for the individual worker who’s looking for something similar to the Gmail interface combined with Google Calendar functionality. Quick Add: Quickly create and organise your tasks in a matter of clicks with Todoists Quick Add feature. Deadlines & reminders: Set deadlines, recurring deadlines for repeat tasks and reminders to make sure you keep on top of everything. Projects & goals: Create and manage projects with sub-tasks, set goals and keep track of progress. Highlight tasks: Highlight the most important tasks with colour-coded priority levels. Reports: Keep on track of your progress with reports and earn Todoist Karma points for hitting targets. 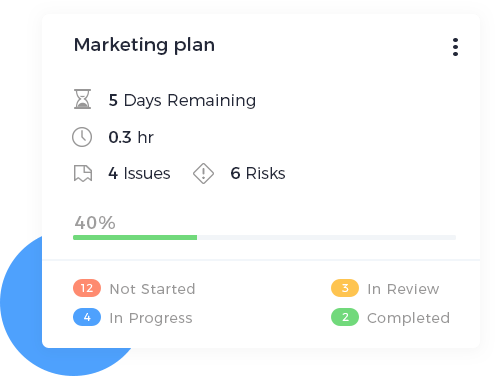 There is a “Business” version of Todoist that offers additional features to make project management easier for teams but you’re probably going to go with another app, if that’s what you’re after. nTask says it’s “more than just a task management tool” and I can tell you that’s no word of a lie. This application is crammed full of features for task management, project management and general business running. You can run nTask in the browser and its mobile app is available on iOS and Android but there are no native desktop apps for Windows or Mac. While it would be nice to see these native apps available for computers, the nTask web app functions very well. Task management: Create checklists, schedule tasks, set deadlines, repeat tasks and set priorities. Project management: Assign tasks to team members, set project budgets and cost estimates, add lists for project risks and issues. Time tracking: Monitor how much time is being spent on tasks. Activity log: Keep track of all activities on your profile for insights on performance and productivity. Gantt charts: View progress on Gantt charts for an overview of entire projects. Manage meetings: Schedule meetings, send invitations and share minutes to everyone who needs them. 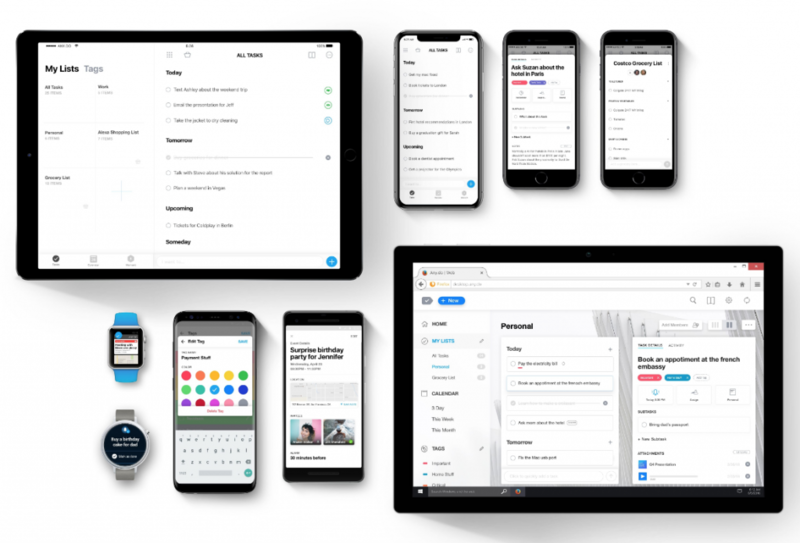 If you’re looking for more than a simple to-do list app and an all-round productivity suite, nTask will be one of the most feature-rich options you’ll find in this list of recommendations. 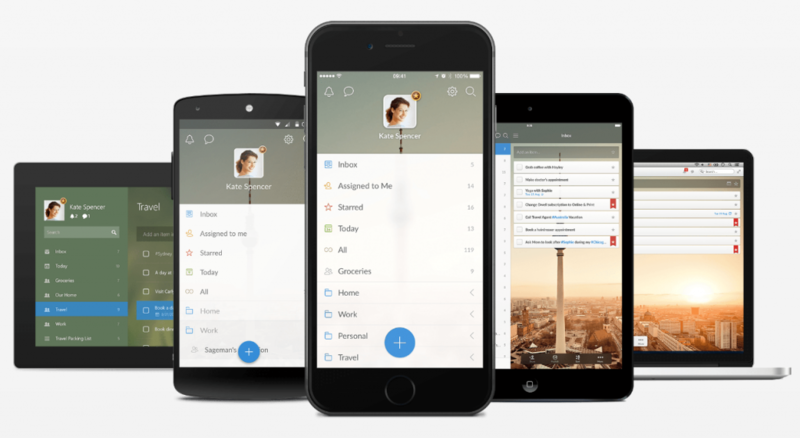 Unlike nTask, Any.do truly is a task management app and it doesn’t try to be anything else. It’s a wonderfully designed app, too, that’s available across all major platforms and the web app means you can access it in-browser on almost any device. If you’re looking for a task management app that’s available on smartwatches, this will also be one of your few options – and, thankfully, it’s a very good one. To-do lists: Create and manage tasks, schedule deadlines and set reminders. Project management: Manage projects, assign tasks, create roadmaps and monitor progress . Calendar: A sleek calendar app to view and manage your tasks, accessible across all of your devices. Daily planner: Manage your workload for the day ahead to make sure everything gets done. Any.do is a pleasure to use with its sleek interface design and smooth operation. You get all of the basic features you would expect from a tool like this: to-do lists, task management, etc. However, the calendar and daily planner integrations are excellent and the transition between each interface is very responsive. This is a really great app. TickTick is similar to Any.do in many ways. Although they look very different, they both strive for minimal design and smooth operation. They also keep things simple in terms of task features, giving you everything you need for managing tasks without trying to do anything else. In both cases, you end up with a streamlined app that does exactly what it says and everything you need is accessible within a click or two. Once again, TickTick has an excellent calendar interface integrated into its app, giving you a wider overview of your to-do lists. To-do lists: Create tasks and set deadlines. Folders: Add lists to folders for managing projects or categorising your lists. Prioritise tasks: Prioritise your most important tasks. Reminders: Set reminders to make sure nothing is overlooked. Calendar view: View tasks by day, week, and months. Share lists: Share your lists with colleagues, friends or family as needed. TickTick is another one that doesn’t have native desktop apps but you can access the web app from any connected device. The downside, of course, is that you can’t use TickTick offline. Unfortunately, Things is only really an option if you’re an Apple loyalist and it’s a shame there isn’t even a web app available to Windows and other OS users on board. However, there is a benefit to this, if you’re a Mac and iPhone/iPad user: Things is designed from the ground up for MacOS and iOS – and it shows. Aide from being design and optimised for Apple devices, Things also offers up a few unique features that you end up wishing were more commonplace. For example, its “Upcoming events” interface constantly reminds you about what you need to do over the next couple of days and this stops you being caught out by tasks you’d forgotten about. It’s a small feature but it makes a real difference – especially when you’ve a demanding tasks coming up that requires some mental preparation. To-do lists: Create to-do lists for “Today” and “This evening”. Checklists: Tick events off your list as they’re completed with checklists. Calendar events: Create calendars for work, family, personal and other categories. Schedules & Reminders: Schedule tasks and set reminders. Upcoming lists: All of your upcoming tasks over the next few days appear in your upcoming list, so nothing catches you by surprise. Headings: Use headings to break up and organise tasks on your list. Another simple but great feature is headlines. This allows you to break up to-do lists with headlines so you can categorise tasks and make larger lists easier to read. Again, simple but effective. WeDo was originally designed for students but it’s developed into a decent work/life task management tools for professionals, too. There’s an emphasis on finding that work-life balance with WeDo and the app aims to make this more achievable for you. 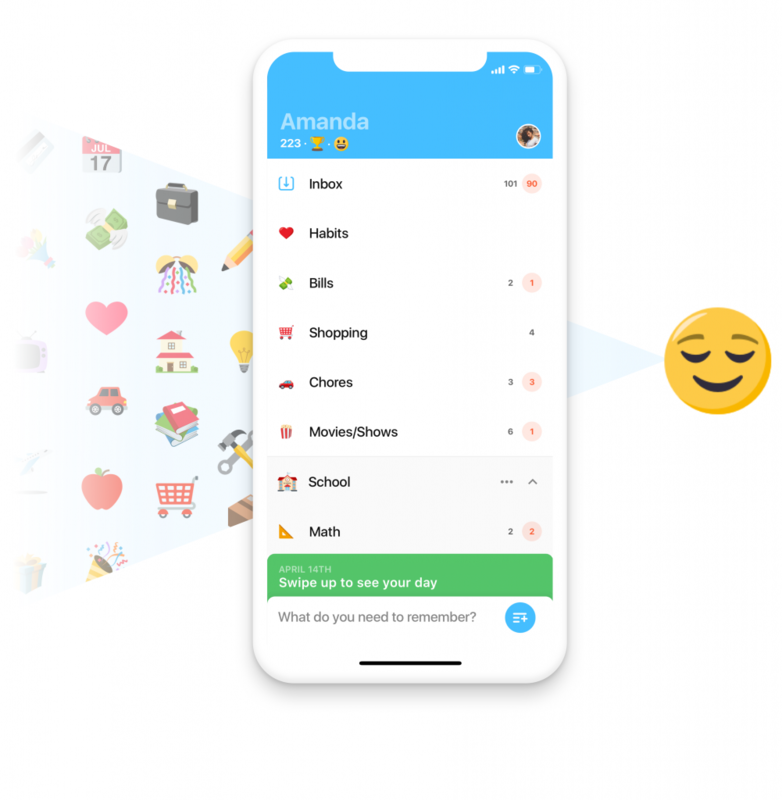 Aside from creating tasks, setting due dates and all the usual things you would expect from a task management app, WeDo wants to help you develop good habits and you can create separate habits lists. Another interesting feature is the apps asks you how long tasks take you after you’ve completed them and how you felt about them. All of this is added to your reporting data and you can see how your speed/mood about repeat tasks and aspects of life (work, diet, exercise. etc.) improves. To-do lists: Create to-do lists, set due dates, add reminders and prioritise tasks. Folders: Group related lists together in folders. Rate tasks: Log how long it takes you to complete tasks, how important they were and how they made you feel. Habit lists: Create separate lists for new habits you want to develop. Sub-tasks: Break tasks up into more manageable sub-tasks. Time estimates: Estimate how long tasks will take and plan your schedule accordingly. If your aim to manage tasks more effectively and improve that work-life balance or develop better habits, WeDo is definitely worth a look. 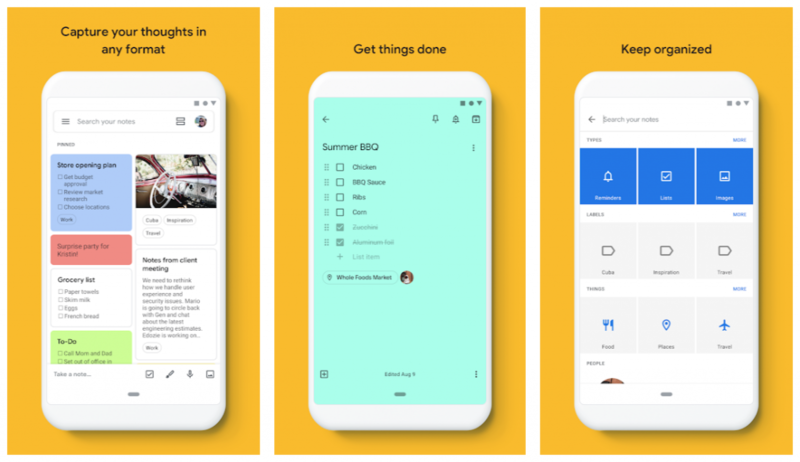 While many of the tools in this article are task management apps built around the to-do list concept, Google Keep is far more limited in terms of features. Strictly speaking, Google Keep is a note taking app with a checklist feature that acts as a to-do list. You can also create bullet point lists, add voice notes, type text notes and add pictures to your dashboard and organise them with colour codes and lables. To-do lists: Create to-do lists, notes, voice notes or add photos to your dashboards. Reminders: Set reminders to keep on top of your tasks. Labels: Add labels to your lists to categorise and organise them. Colour-code: Colour your notes to match categories or prioritise tasks. With Google Keep you can set reminders for your tasks – including location based reminders – and that’s about the extent of it. You’re not going to choose Google Keep if you want advanced features but it’s a good option if you need a simple to-do list app that’s accessible on just about every device. Trello does have a to-do list feature under its belt but this won’t be the main feature you choose it for. 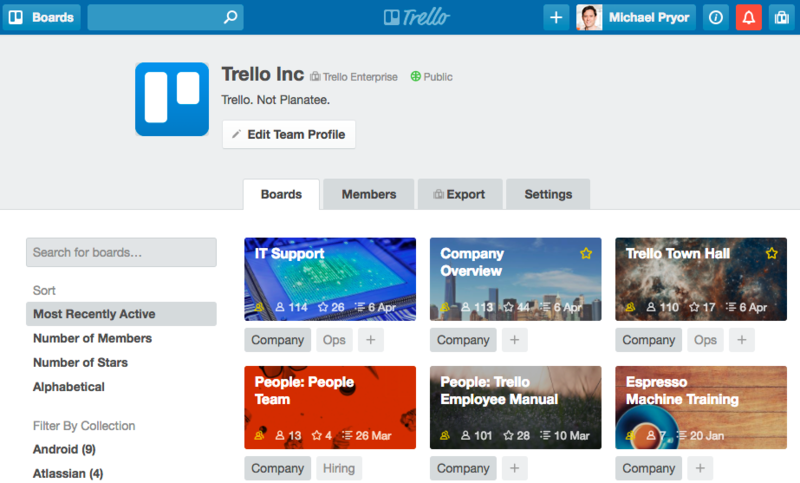 Trello is a project management tool for individuals and collaborative teams. 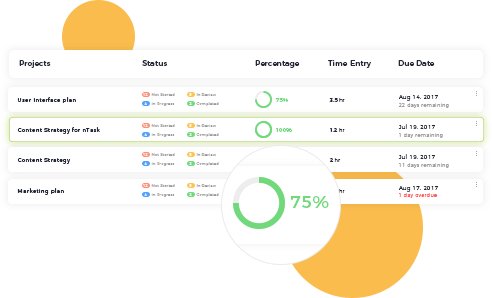 Essentially, you assign dashboards to projects or large tasks and these dashboards contain lists of cards. These cards can contain tasks, to-do lists or checklists, which can be assigned to members who are then able to interact with them. You can set due dates, mark tasks complete, add comments, rearrange or reschedule tasks and talk to members via instant messaging through the Trello app. 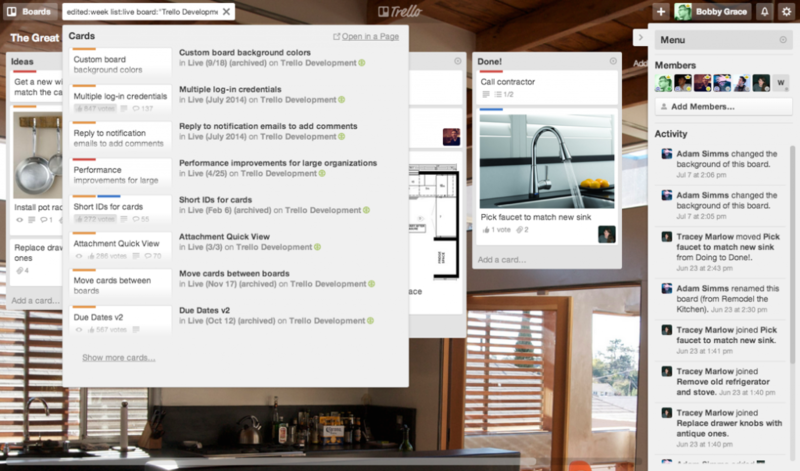 Project management: Trello is a highly capable project management app for collaborative teams. To-do lists: Create to-do lists, add due dates, assign them to people and manage tasks as they’re completed. Trello boards: Dashboards where you can create and manage lists of cards containing tasks and to-do lists. Work with anyone: Invite anyone from around the world to help you make things happen. 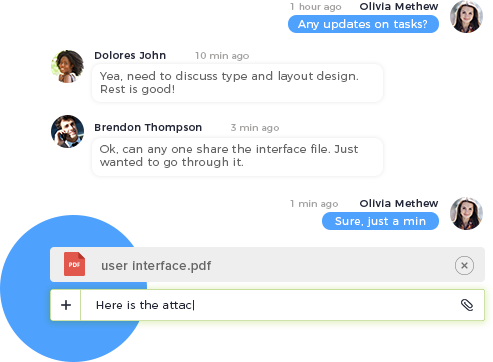 Instant messaging: Talk to team members in real-time to discuss tasks. When it comes to managing complex projects, Trello is one of the few apps on this list that genuinely simplifies the process – something you won’t get from a standard to-do list app. I can safely say Habitica is unlike any other tool in this article and unlike any other to-do list app I’ve ever come across. I should make it clear that Habitica isn’t really designed for work but more geared towards developing better habits while you’re away from the computer. This doesn’t mean you can’t use it for work purposes or as a tool to improve work-life balance, though. Habitica gamifies the to-do list experience by getting you to create an Avatar, which receives points and bonuses for completing the tasks on your list. The more points you win, the stronger your Avatar becomes and the more in-game features and rewards you unlock. 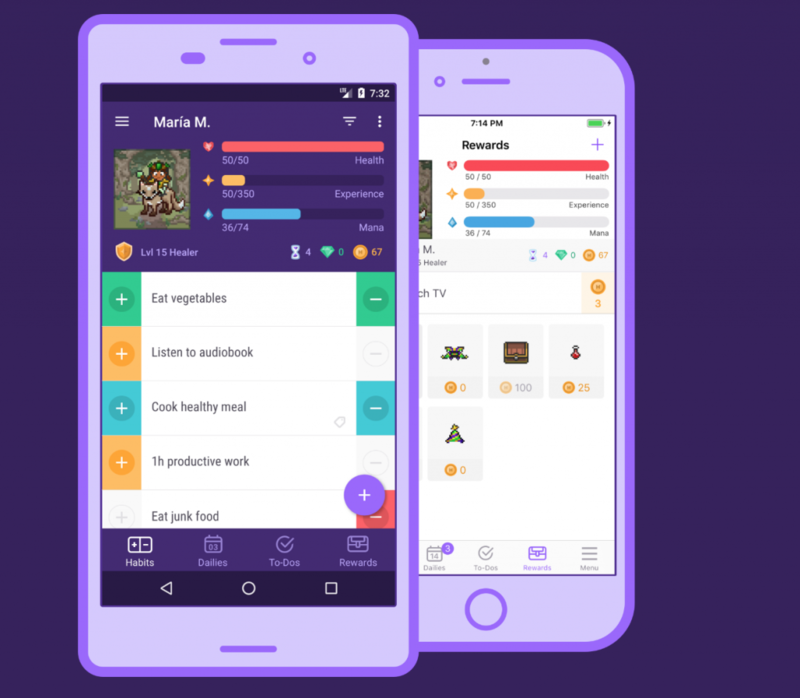 Gamified to-do lists: Habitica turns to-do lists into a mobile game experience. Habits: Schedule good habits you want to develop or bad habits you want to overcome. Avatars: Create your own Avatar to progress through your gamified to-do lists. In-game rewards: Earn points for completing tasks and developing good habits, level up your avatar, unlock new features and earn in-game rewards. Battle monsters: Join other Habitica users to fight monsters with your Avatars. You can create positive habits that earn you points as well as negative habits you want to avoid, in which case points are taken away from you. You can also create habits that have both positive and negative outcomes – for example, eating a healthy dinner. If you eat something healthy, you win points; if you eat something unhealthy, you lose points. Who says to-do lists need to be boring? All the apps in this article are great task management tools but they’re also very different at the same time. We all have our own way of working and our own requirements, so the rest of this article is going focus on helping you decide which of these apps meet your needs. Best apps for cross-platformability: A comparison table for which platforms each app is available on. Best apps for productivity features: A comparison table of key productivity features and which apps provide them. Best apps for user experience: A look at the best apps from a UX perspective. Best apps for teams: Which of these apps are most suitbale for teams/collaboration? Best value for money: How many features are you getting for your money? I’ve put together some tables for cross-platformability, features and value for money – so you can compare things for yourself – but I’ll also add my own thoughts for each section. As for the best apps for teams section, some of these apps simply aren’t designed for teams and there are a few that really stand out on this aspect – so I’ll just go ahead and mention the apps that win this category and explain why. The first thing I check when I like the look of an app is which platforms it’s available on. It doesn’t matter how good a tool is if it’s not available on the platforms/devices you need to use it on. So here’s a quick comparison table to show you what each of the apps in this article are available on. Generally speaking, if there’s a web app and a mobile app for your device, you should be sorted from a personal standpoint. The only downside with web apps is not being able to use them offline – so, if this is important to you, it’s always good to have a desktop app as well. Just make sure you can actually save things while you’re using the app offline. It’s also worth keeping in mind that you may move from Apple to other devices (or vice versa) in the future. Having support for Windows, Mac, iOS and Android will give you the freedom to do this without losing your favourite to-do list app. Finally, if you’re looking for an app that you can use to collaborate with other, you want the broadest support for devices and browsers possible (think about browser extensions as well). All of the apps in this article are designed to help you become more productive but they vary greatly in terms of features. Most of them are very good task management tools while some are better than others when it comes to project management, collaboration and reporting. It all comes down to what you’re looking for from one (or more) of these apps. If you only need a to-do list/day planner then Any.do is an excellent choice that’s available of just about every platform. It may not have all of the productivity features of some other options we’ve looked at but it does to-do lists and task management very well – and that might be all you need. 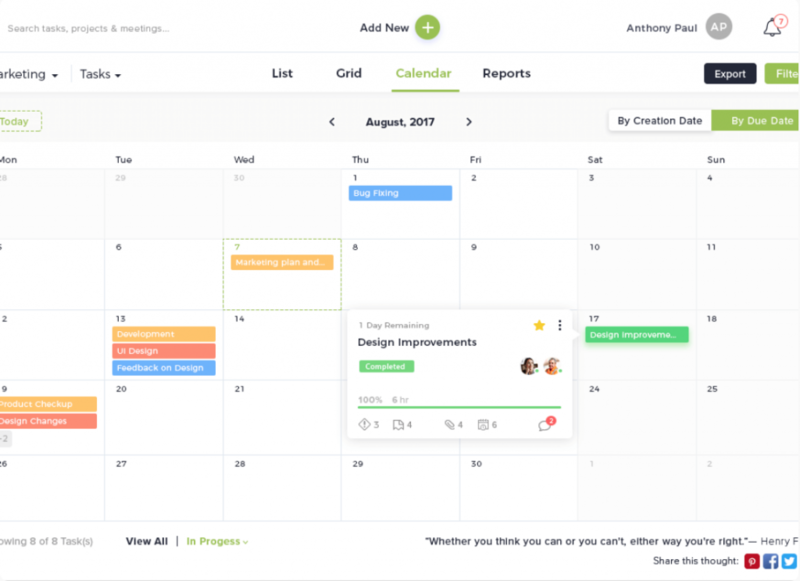 It’s a similar story with TickTick, Things and WeDo – they’re all great task management apps that don’t put additional features in your way. That said, if you need to manage projects, teams or collaborate with others, then your list of options narrows. Likewise, if you want to set productivity or habit goals and check your performance with analytics/reporting, then it’s easy to see which apps stand out. This is a really tricky one because all of these apps offer great user experiences. Google Keep is perhaps the only exception but it’s mostly feature-orientated changes that would improve the experience, in my opinion (although a visual upgrade would be appreciated, too). Visual design: Points awarded for clean, minimal designs that make it easy to understand and use the app. Navigation: Features always being within a few clicks and navigation that’s easy to understand. Features vs usability: More features are great but only if they don’t add unnecessary complexity that’s going to kill productivity. Cross-platform experience: Cross-platform support and consistent experience as move between different versions. Integrations: Allow you to add features that you need, even if they’re not provided by the app itself. Documentation & support: Sometimes things just don’t work as you expect them to and this is where you need documentation and support to back you up. So, here’s my pick for personal to-do lists. The best to-do list experiences come from the apps that really focus on this role. A lot of the tools in this article are so much more than to-do list apps and, while this is fine if you want the added capabilities, their user experiences aren’t centred around the specific purpose of a to-do list app. If you’re simply after the best to-do list app as a standalone tool for your personal use, then Any.do, TickTick, Things, WeDo and Habitica are the ones to look at. 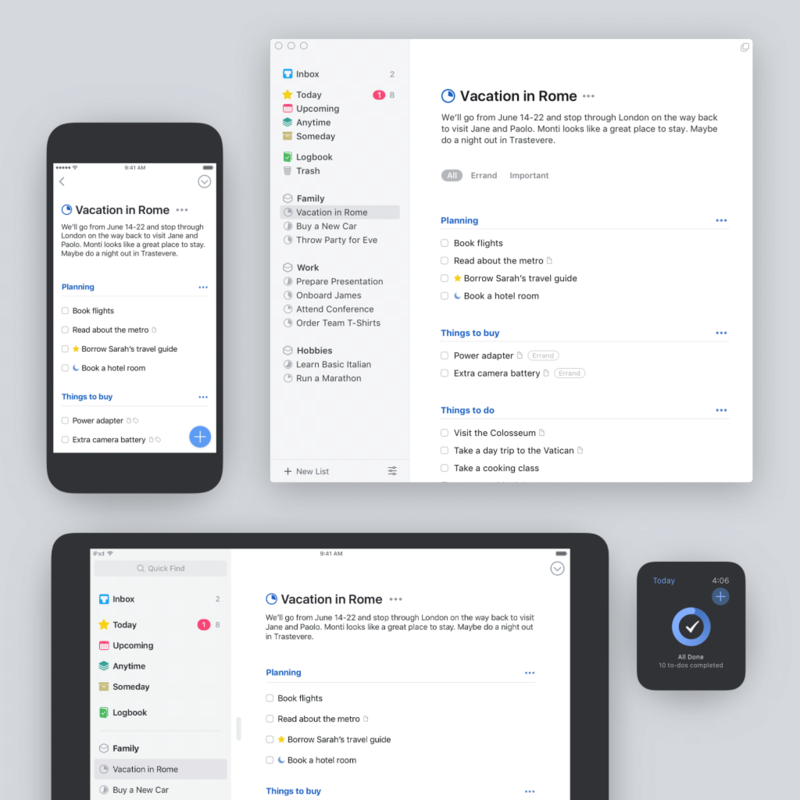 Any.do is one of the best to-do list and task management apps I’ve ever tried and it offers a consistent experience across every platform, which you get the same fantastic UX across all of your devices. If you’re an Apple-only user, Things is the obvious choice and I would say the experience is actually better than Any.do. The only downside is you can only use it on Mac and iOS devices but this also benefits the experience by allowing its developers to truly optimise for Apple’s operating systems. TickTick is another fantastic to-do list experience and it does actually add some more advanced features into its premium version but they don’t take anything away from its task management credentials – and it deserves credit for that. Then we have Habitica, which is by no means your typical to-do list app, but what an experience the team behind it has managed to create. The gamification approach isn’t going to be for everyone but, for those who do appreciate it, nothing else will cut it after trying Habitica. If you need to manage personal projects or a lot of different to-do lists, then you’re going to need an app that allows you to organise tasks with more control. In this case, you really need to be able to schedule tasks, group them together, prioritise tasks and manage them as you progress through each project. The free versions of nTask and Trello should have everything you need to manage the most complex of projects. You don’t quite get all of the features either app has to offer but the main difference between the free and paid versions is collaboration features, which you probably don’t need if you’re working on projects alone. If you do need more than the free versions offer, nTask is pretty affordable at $2.99 per month and even Trello’s $9.99/mo should more than pay for itself if its features are going to save you time on every project and limit the risk of mistakes. The potential issue with nTask and Trello is they may actually have too many features for managing personal tasks and projects. If you still want that simple to-do list experience, with just enough features to help you manage more complex workloads, then Wunderlist and Todoist are probably for you. For an even more minimal experience, you may find the paid versions Any.do, TickTick and WeDo have just enough task management features for you to organise your workload. If teamwork/collaboration is a priority, then features and cross-platform availability are the most important things. The standout winners in this scenario are nTask and Trello – but far the best experiences for teams and individuals who need to collaborate. I’ll explain more about this in the next section. Well, I’ve given the surprise away already but let me show you the specifics of why nTask and Trello are the standout apps for teams. Teams need to be able to communicate and both of these apps have integrated messaging built into their software. Which means team members can discuss and collaborate on tasks from anywhere, whenever they need to. nTask and Trello approach project management in different ways (checklist vs cards) but they’re both incredibly effective. With the paid version of either app, you can manage multiple teams, any number of projects and organise the most complex of workloads. Everyone knows what needs doing, what’s already been done and what the overall progress of each project looks like. So how do you choose between these? Well, the biggest difference is going to come down to whether you prefer nTask’s more traditional interface or the card approach Trello takes. It’s not a question of one being better than the other; they’re just different and it probably won’t take long to find out which one you prefer. One benefit in favour of Trello is the fact it has desktop apps for Windows and Mac, whereas nTask doesn’t. 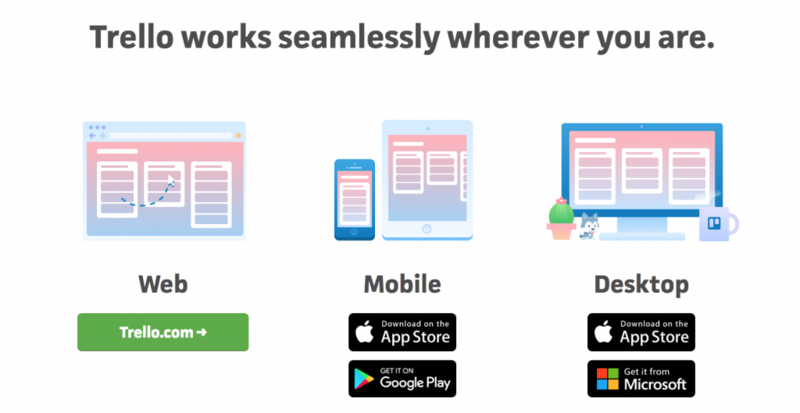 The nTask web app means you can still use the platform on just about any device but you’re going to need an internet connection. nTask has the upper hand in terms of features, though. You get a lot of project management features to help you calculate budgets, define risks and issues with each project, arrange meetings and some really strong reporting to go with it. There are also unique productivity features, such as time tracking, which allows you to see how long tasks are taking. It’s an incredible set of features for a very reasonable monthly subscription fee. You can get most or all of these features in Trello by integrating with other tools (and you are going to need other tools anyway) but nTask may be able to reduce your over expenses by offering so much right out of the box. I can’t tell you what you need from any kind of productivity app, which means I can’t turn around and say which one offers the best value for money – it all comes down to getting what you need for the lowest price. What I can do is score each app based on the features they offer, their availability across different platforms and the asking price. This way, I can give them an overall score, which at least gives you an idea of how much you’re getting in terms of features and support for your money. Free apps instantly get 10/10 for cost while reasonable one-off payments get a score of 9/10 and monthly fees rated down from 8/10 depending on how high the monthly asking fee is. I’m using the most expensive plans to score cost as these prices, otherwise you’re not getting all the features that have been awarded their score. Keep in mind there are cheaper or free versions of most of these apps available. I should also mention that you get a lot of features on the free version of Trello and there’s a $9.99/mo version that will probably be enough for most users – perhaps not for certain business teams, though. Meanwhile, TickTick doesn’t give you much at all on its free version but a $27.99/year fee makes its premium version the cheapest paid option on this list. Hopefully, you now know what you need from a to-do list/task management app and choosing the right tool for your needs is going to be a much easier process now. Even if you don’t end up using one of the recommendations on this list, you should have a better idea of what kind of apps are available and which of them are going to work for you. Most of the apps in this article have free versions that you can use to get a feel for them yourself – so try out the ones you think have potential and see how you get on. Once you’ve found your favourite to-do list app, you can manage your way to a more productive workflow and start adding other tools to your productivity toolkit.